Have you ever heard of the sheep-and-collie routine? It’s when one or more collies nip at the heels of a flock of sheep, to force them toward a destination the sheep really don’t want to go. DeKalb’s Financial Advisory Committee (FAC) will be recommending that the city council raise the property tax levy by $954,000, and its local (home rule) sales tax by one cent, in the fiscal year starting January 2018. Even if the city council passes the recommended increases, FAC members acknowledge it would not fix the basic operations budget problem. The hikes, if approved, would balance the General Fund budget for this year, and maybe next. But without a major intervention to eliminate the structural issue, they would not constitute a long-term solution. 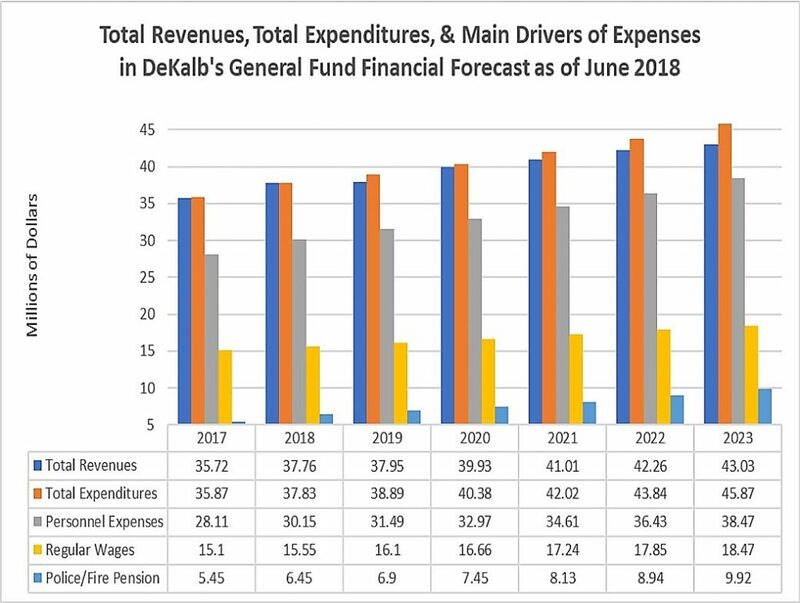 The argument seems to be that DeKalb taxpayers can afford to pay more in property taxes than the “bargain” they are currently getting relative to residents of other towns. The comps had DeKalb’s median family income as $61,806. I laughed. Don’t get me wrong — DeKalb’s median family income really is $61,806.